This is a commissioned post by the Australian Mushroom Growers' Association for "Mushroom Mania". The Mushroom Mania campaign is on for all of July 2013 and highlights the amazing mushroom dishes on offer at cafes, bistros, clubs, pubs and restaurants across Australia. Check out their competition where you can win one of 40 $100 restaurant vouchers! Full disclosure at end of post. Don't judge a book by its cover. 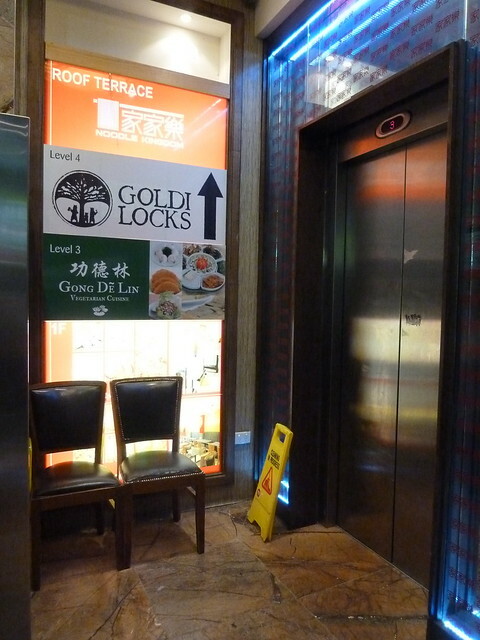 Or in this case - a restaurant by its elevator. 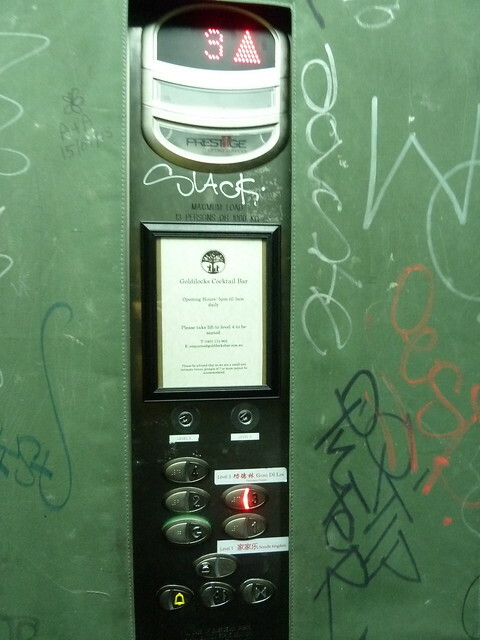 To get to Gong de Lin, you enter Swanston Street's Noodle Kingdom, take an abrupt left-hand turn and hit the button for the lift. The doors open to reveal this long, peculiar, almost windowless pearly-white room, which - combined with your slow, rattling ascension here - feels rather otherworldly. 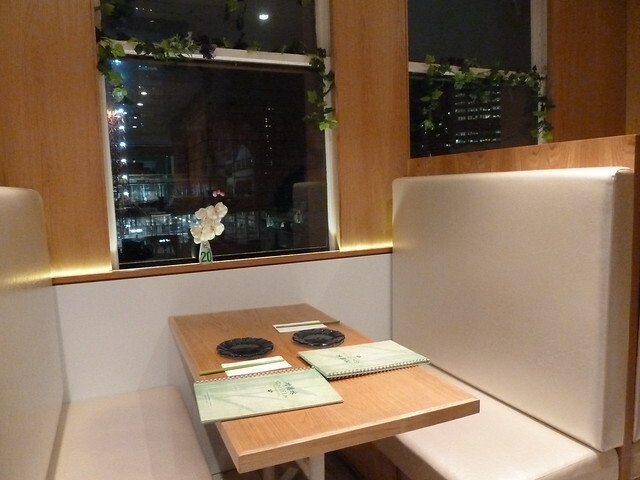 The spot to nab is one of the booths in the window, where you can gaze down at the trams and people rushing about below, as if you're some sort of benevolent spirit. 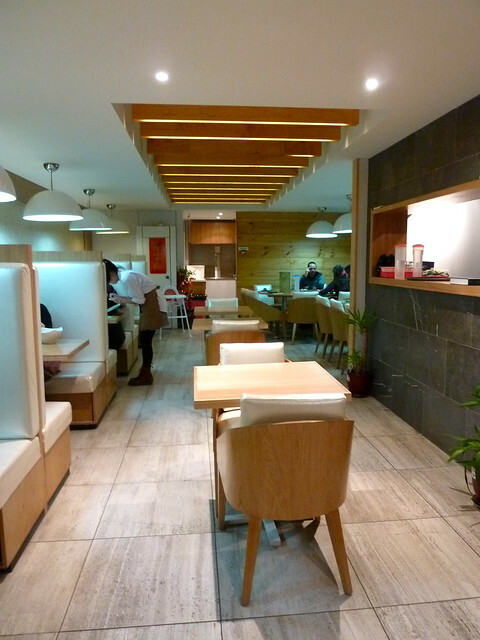 Gong de Lin is a unique Chinese restaurant serving Shanghai-style, Buddhist vegetarian fare. 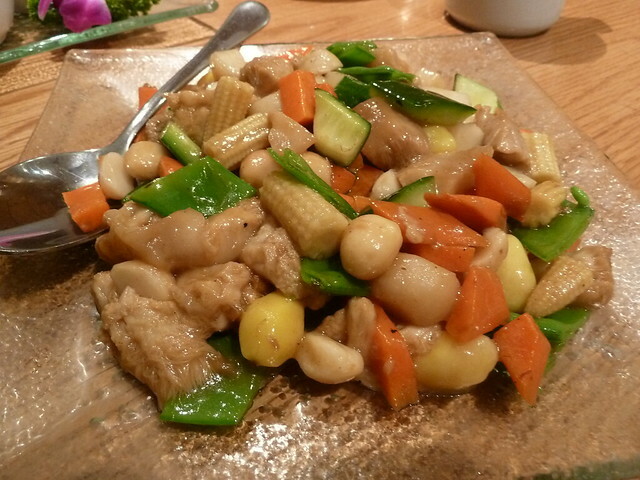 Western diners often report being somewhat perturbed at Asian vegetarian restaurants like White Lotus and Bo De Trai as the focus is primarily on mock meat, with non-mock meat vegetable dishes somewhat of an afterthought. 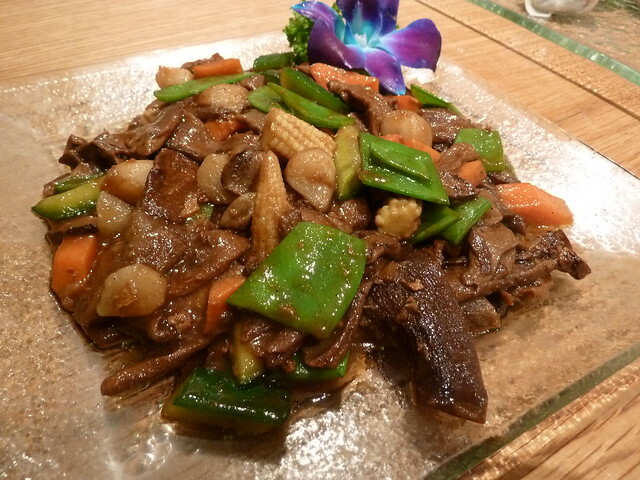 There is a good range of mock meat dishes on the menu at Gong de Lin but there is also a strong showing of vegetables in their natural form...in particular, mushrooms. "Hedgehog" mushrooms, "mountain" mushrooms, gold, black and morel - it seems like every denizen of the forest floor has a foothold on this menu! If your kids have never eaten a mushroom, get this in front of them post haste. 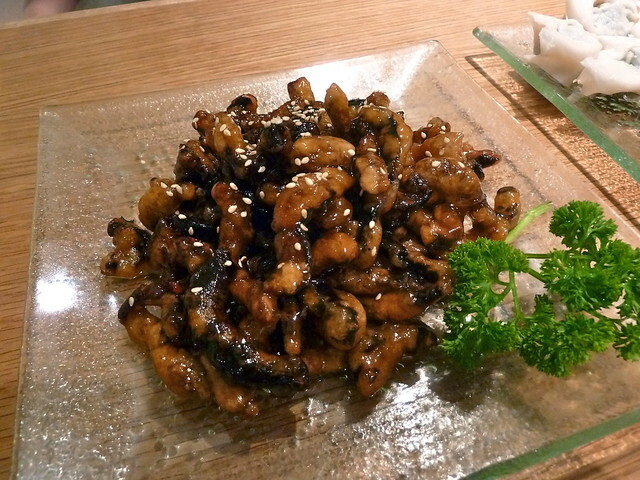 These are shiitake mushrooms, sliced, deep fried and tossed with a toffee-like coating. It's not your local shopping centre's sweet and sour, but much more reduced, deeper in flavour and with delicious tang that I think comes from Chinese black vinegar. "Black" or shiitake mushrooms have a particularly rich, deep flavour that held up perfectly against the crackly sweet shell. Dumpling time! 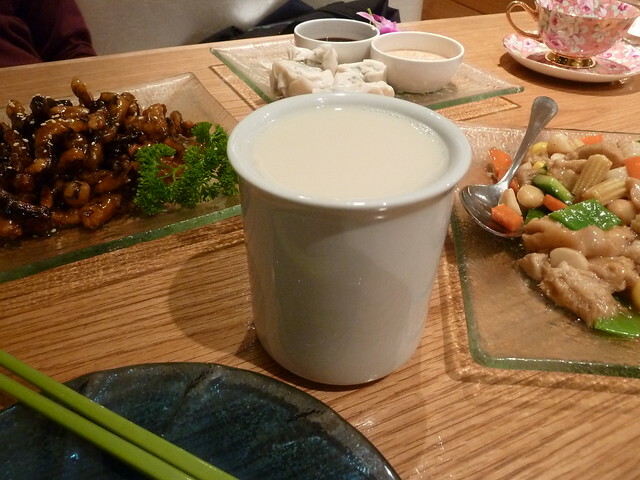 Apparently one top pick at Gong de Lin is their beancurd dumpling which actually has a skin made from tofu instead of dough. 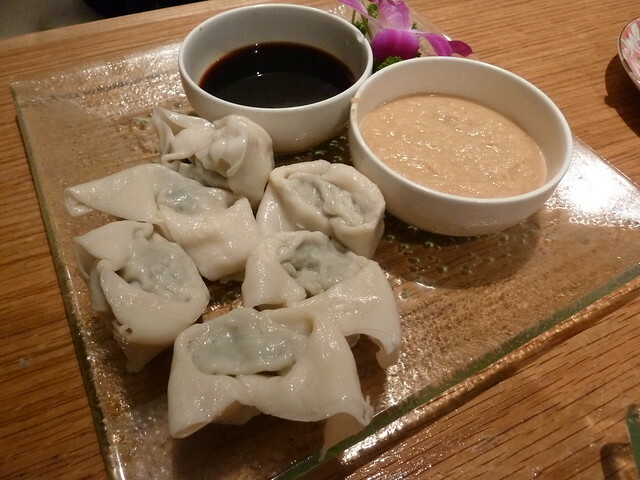 We went off piste with some cold Shanghai-style wontons, but it was a bit of a dud run. They were filled with some sort of green pickled vegetable and served with vinegar and sesame dipping sauces, but the straight-from-the-fridge chill put me off. I'm sure they're authentic but next time I'd rather try the "Jade Buddha temple vegetable baozi", which look like fluffy char siu pork buns. You know how tomatoes are technically fruits? Well, mushrooms aren't technically vegetables. They are, of course, fungi, which makes their nutritional profile completely different than vegies. For instance, did you know that mushrooms are the only non-animal source of vitamin D? The specimens above were "boletus edulis", also known as the mighty porcini. Porcini mushrooms (centre in the above pic) have large, thick stems and are most often seen dried. After the fluffy, delicious hedgehog mushroom (left), I wasn't such a fan of the coarser, slightly leathery boletus. Despite very different menu descriptions, both dishes were prepared similarly, which was a bit disappointing. 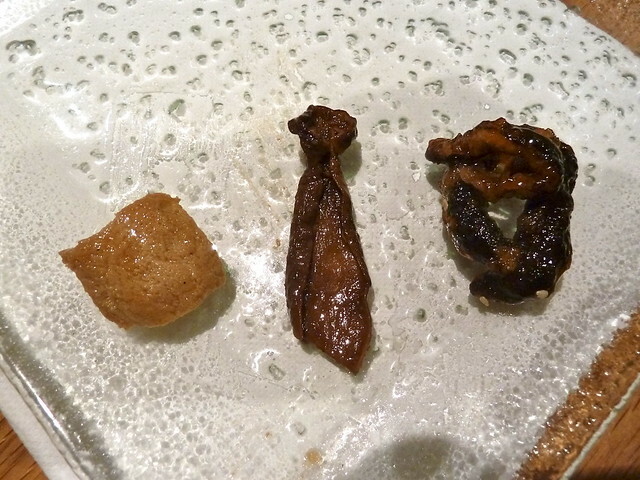 Anyway, I had eaten way too much of the specimen on the right - the deep-fried shiitake slices. Trust me - so good! 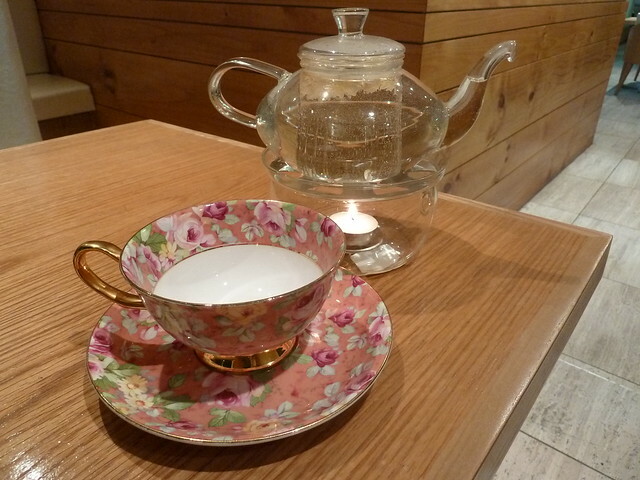 Or there are also fancy teas like chrysanthemum, served in gorgeous teapots. Just be sure to stir it while it brews to get the full flavour profile. And speaking of flavour, Gong de Lin use no MSG. 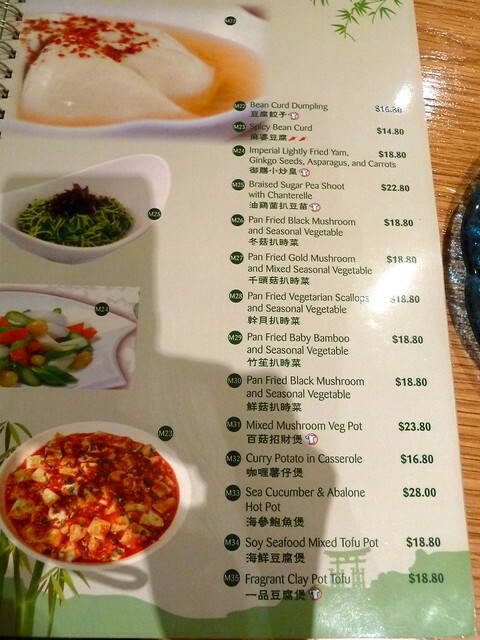 The prices are a bit steeper than your average city Chinese joint, but I reckon the unusual dishes and unique ingredients make it worth it. Disclosure: This post is the second in a series of two for Australian Mushroom Growers' "Mushroom Mania" campaign. I had free choice of any Victorian restaurant and was required to choose at least one dish in which mushrooms were the "hero" ingredient. I am being paid a flat sum for my writing which does not include meal expenses. 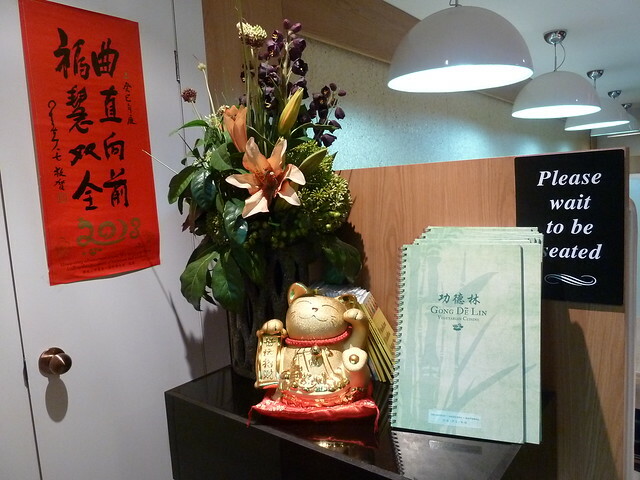 Reviews could be completed anonymously or with prior notice; I visited Gong de Lin anonymously and without prior warning. 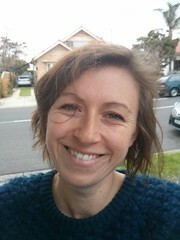 Australian Mushroom Growers and Gong de Lin have not sought nor been given any editorial control of this post. I don't know if there are stairs, Winston so it might have to be the lift! I'm so happy that you visited that place! I was hoping that more bloggers would visit. Try the man tou next time. I loved that. Just back from a lengthy trip to China and this looks like the real deal - will be checking it out pronto. OMG so jealous! I'm so enjoying learning more about regional Chinese. There's so much diversity! Glad you could see past the elevator. So many people would be put off by it and miss a real treat. Went here a few months ago and found everything to be really pretty bland?? Compared to White Lotus or the Buddhist Vego place in Footsy anyway. That's no good! I didn't think so. Am a big fan of White Lotus too but Bo De Trai is not my number one pick - I'd sooner eat vego stuff from another Footscray Vietnamese joint. Gong de Lin don't use MSG so maybe that had something to do with it? Would love to see your top picks for Vego places. Will have to give Bo De Trai another go. The staff there were SO NICE so it was a shame it was a bit bland. Maybe they were having a bad day! 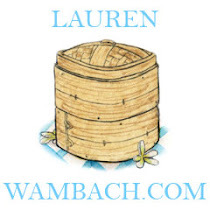 That's a great blog post idea!